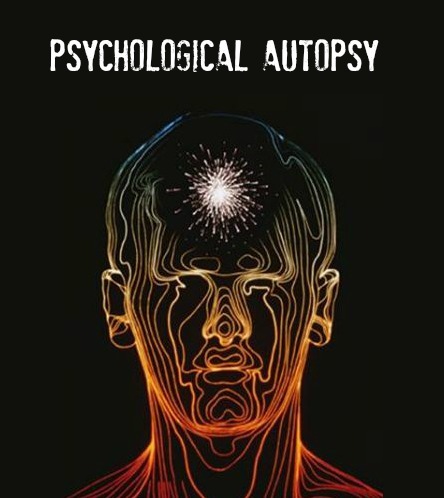 Whereas a medical autopsy is essentially a physical examination of the deceased, a psychological autopsy (P.A) is essentially a mental state examination of the deceased. The psychological autopsy evolved as a method to help clarify cause of death, particularly in the estimated 20% of cases presented to a medical examiner/coroner where precise mode of death is unclear. As such, a psychological autopsy is an investigative tool which its proponents claim can help in the process of establishing whether an equivocal death was the result of natural causes, suicide, accident or murder. Within the context of a forensic investigation a psychological autopsy is employed as a data collection tool, the most common source being interview data obtained from the family and friends of the deceased. Obtaining the medical history of the deceased is also a central component of the psychological autopsy; as is interviewing the doctor of the deceased and/or examining medical records. Biographical information (age, marital status, occupation). Personal information (relationships, lifestyle, alcohol/drug use, sources of stress). Secondary information (family history, police records, diaries). The method involves collecting all available information on the deceased via structured interviews of family members, relatives or friends as well as attending health care personnel. In addition, information is collected from available health care and psychiatric records, other documents, and forensic examination. As with most data collection protocols conducted within a psychological framework, different methodological approaches exist. A useful way to think of this is in terms of means to an end. Postdictive analysis yielding an opinion giving a logical understanding of the relationship between the deceased and the events and behaviors that preceded the death. The means by which you reach this end, however, can differ slightly, for example, the clinical approach Vs the equivocal death analysis approach favored by FBI. It's important to note that the term psychological autopsy is not particularly well defined nor standardized for operational use and there does not appear to be systematic guidelines in place regarding training and best practice. As David Canter points out there has been very little research that examines the reliability or validity of psychological autopsies or related contributions to enquiries into fatalities. As a result, particularly within the context of suicide, alternatives to the psychological autopsy are being called for. e.g. Hjelmeland et al (2012) who argue that psychological autopsies should now be abandoned. Instead, we recommend qualitative approaches focusing on the understanding of suicide beyond mental disorders, where narratives from a relatively high number of informants around each suicide are systematically analyzed in terms of the informants’ relationships with the deceased. One notable application of the psychological autopsy has been in the attempt to understand the state of mind of suicide bombers. The pioneer of this research is Dr. Ariel Merari from Tel Aviv University, who interviewed both the friends and family of suicide bombers, as well as would be bombers who were apprehended before they could carry out the attack.